A petition that has so far reached 51,000 signatures—more than 33,000 of which were gathered in the week after marijuana was legalized on Oct. 17—is calling on the United Nations to urge Canada to repeal the Cannabis Act. The petition notes that, by legalizing cannabis, Canada is in violation of three international U.N. drug conventions to which it is a signatory, and in light of that, the legislation should be revoked. The petition signatures will be submitted to the International Narcotics Control Board (INCB), which has expressed concern over Canada’s legalization of cannabis and said it will be discussing the issue at its two-week 123rd session starting on Oct. 30. “They have issued a press release saying that they are going to be looking at the issue of [legalization] in that meeting, so we’re hoping that they will be able to make a decision—which it is within their purview to do—to bring their concerns to the U.N. General Assembly and to call on the U.N. General Assembly to denounce what Canada has done,” says David Cooke of CitizenGO Canada, the group behind the petition. “While the Board is concerned about the impact of cannabis legalization in Canada on the international consensus embodied in the three United Nations drug control conventions and the related commitments made by the international community at the special session of the General Assembly in 2016, it is also deeply concerned about the public health impact of these policy choices on the health and welfare of Canadians, particularly youth,” INCB president Viroj Sumyai said. The three treaties are the Single Convention on Narcotic Drugs (1961), the Convention on Psychotropic Substances (1971), and the Convention against Illicit Traffic in Narcotic Drugs and Psychotropic Substances (1988). At Senate hearings in early May, Foreign Affairs Minister Chrystia Freeland said that while legalization puts Canada in contravention of “certain obligations related to cannabis under the three U.N. drug conventions,” it would be a mistake to withdraw from the international legal framework. She said Canada will still be “in line” with the goals of the treaties. Conservative foreign affairs critic Peter Kent said in early May that Canada’s international reputation is at stake and the government should pull out of the treaties. The treaties class cannabis and its byproducts as a Schedule 1 narcotic and define it as illicit when produced, sold, or used for non-medical purposes. “It’s a psychotropic drug and it’s classed as a narcotic. It’s put up there on the same schedule as cocaine and opium,” says Cooke, adding that he doesn’t think legalization was a good idea. 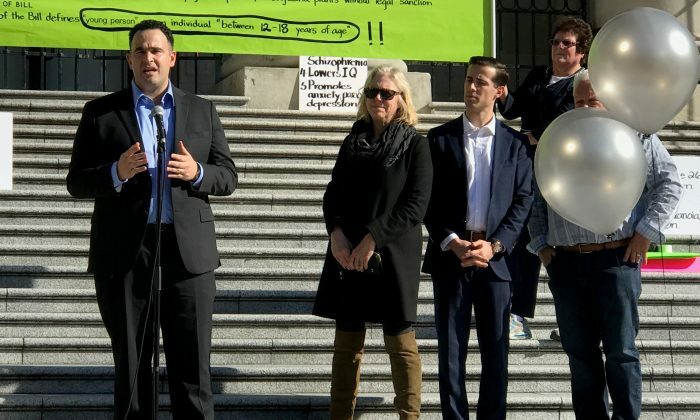 He said the speed with which the petition signatures grew since two anti-legalization rallies in Toronto and Vancouver on Oct. 17 means there are many Canadians who share his concerns. “It’s gone viral,” he said, noting that it jumped from 18,000 signatures to 40,000 signatures the day after the rallies alone. The goal is 100,000 signatures. Pamela McColl, director of the group Smart Approaches to Marijuana Canada, agrees.